Having raised four teenagers, these words and I have become very acquainted with each other. But the funny thing is that I have found them echoing in my heart as well. I’m just not as verbal about it as they are. I don’t know about you but obedience has never been easy for me. I would much rather lead than follow. I have tendency to question and feel like there’s got to be a good reason to obey or forget it! Maybe the reason I find obedience so difficult is because at the core of obedience is submission – surrender to someone else’s guidelines and commands. In my reading of the Book of Matthew, I discovered a shocking display of unquestioning obedience. Look at Matthew 1:24 (The Message) Then Joseph woke up. He did exactly what God’s angel commanded in the dream: He married Mary. No questions, no doubt, no hesitation just simple obedience. Think about it, the Jews had not heard from God in over four hundred years! He’s been silent . . . not even a whisper and then one night a man named Joseph, goes to sleep, has a dream and obeys. No wondering if it was something bad he’d eaten the night before, no questioning whether it was all just a figment of his imagination, just radical obedience. And his obedience didn’t stop with his marriage to Mary. In the next chapter we get another glimpse of his proclivity to obey. I couldn’t help but wonder, as I read this, what if Joseph hadn’t obeyed? What if he had lain awake debating whether he should wake up Mary and the baby, after all, it was the middle of the night? What if he had decided to just wait and go in the morning? Obedience is hard, inconvenient and difficult. It’s not the politically correct thing to do in this world of “do your own thing”. And yet, God calls his followers to a life of radical obedience, a life of surrender and submission to His will and His ways. But the unexpected blessing of obedience is that it sets us free! Free to live life to its fullest. It sets us free from the things that have held us captive for far too long. Obedience God’s way is life-giving and full. I learned firsthand the importance of obedience from a friend of mine. My friend and her husband were on a road trip. They were enjoying the beautiful day together, when all of a sudden her husband, who was driving, yelled, “GET DOWN!” She immediately ducked down and put her head in her lap (even though she had no idea why) and the car slammed into a jack-knifed semi in the middle of the road. If she had hesitated for even a moment, her life would’ve been over. As I listened to this story I couldn’t help but wonder if I would’ve obeyed. I’d like to think I would but the truth is I probably would’ve been in the middle of asking my husband why should . 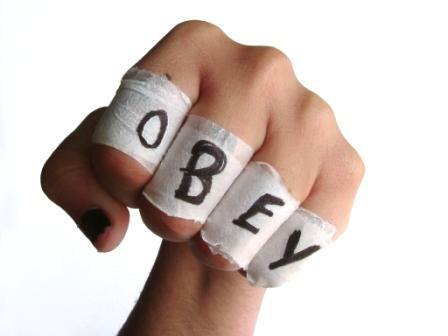 . .
Obedience is at the core of a true follower of Jesus. But does my life reflect that I’m a follower of Him or just an admirer? I don’t want to be just a fan, I want more! But I know that anything valuable comes with a price – there’s always a cost. Jesus said, “If you want to be my disciple, you must hate everyone else by comparison – your father and mother, wife and children, brothers and sisters – yes, even your own life. Otherwise you cannot be my disciple. 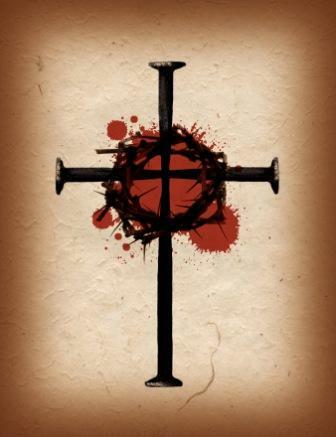 And if you do not carry your own cross and follow me, you cannot be my disciple. Are you ready to count the cost and live a life of radical obedience to the One who willingly laid down his life for you?